(2015/BACM) 28 Tracks, original Bullet, MGM, ABC Paramount, Liberty Aufnahmen, 1954-59. Legendärer Singer/Songwriter von vielen all-time Country Klassikern. Danny Dill and Wayne Walker helped transform Cedarwood Music into an industry powerhouse. 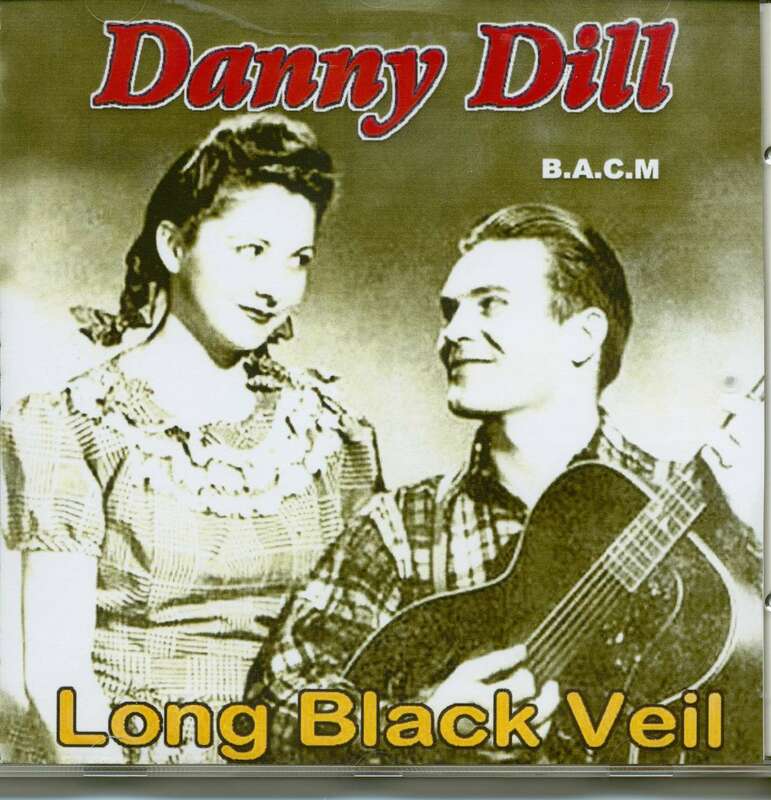 Born Horace Eldred Dill in Dollar Hill, Tennessee on September 19, 1924, Danny hitchhiked to Jackson in 1943 and launched his career on WTJS, as did Carl Perkins and Eddy Arnold. He moved on to Arkansas, Memphis, and Knoxville before returning to Jackson to form a partnership with Annie Lou Stockard, whom he married in 1945. 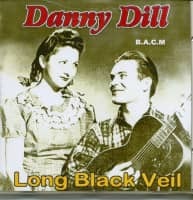 In 1946, they joined the Grand Ole Opry as 'Annie Lou and Danny: the Sweethearts of the Opry,' and made their first recordings for Bullet in 1949. They recorded and toured together until their marriage dissolved in the 1950s. 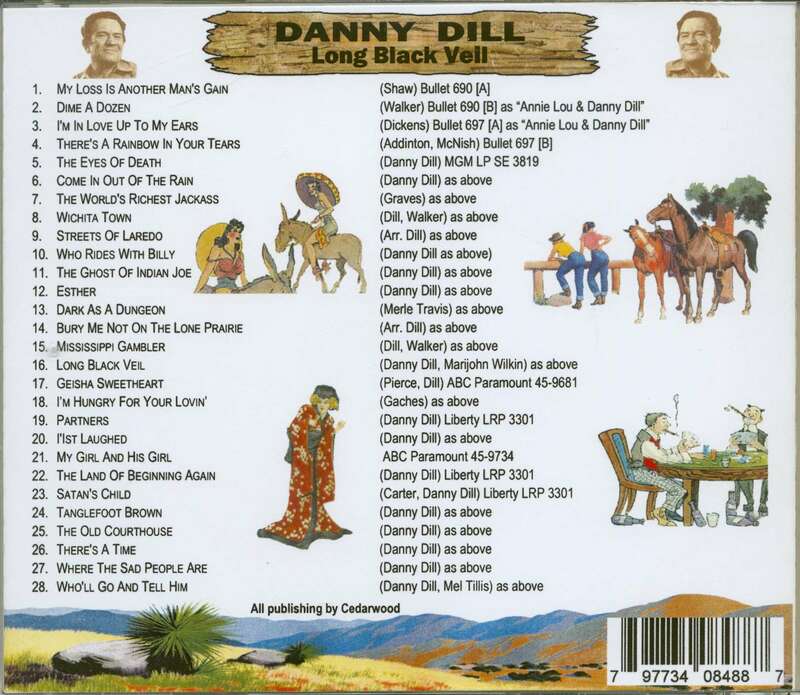 Danny recorded solo for ABC and Cub before turning to songwriting. His first big hits were Carl Smith's If You Saw Her Through My Eyes and Jim Reeves' Partners, but his big paydays came with Long Black Veil (Lefty Frizzell, 1963) and Detroit City (Bobby Bare, 1963). Danny drank up a lot of the proceeds before a road accident in 1974 persuaded him to go sober. He still performs around Nashville at songwriters' showcases and played a grizzled old man in Steve Wariner's 1992 video for The Tips Of My Fingers. Kundenbewertungen für "Long Black Veil"